* Cook D, Brown D, Alexander R, March R, Morgan P, Satterthwaite G, Pangalos MN (2014) Lessons learned from the fate of AstraZeneca’s drug pipeline: a five-dimensional framework. Nat Rev Drug Discov. 13(6):419-31. Early detection of toxic events induced by drug cantidats is mandatory in order to avoid late attrition in the process of R&D. 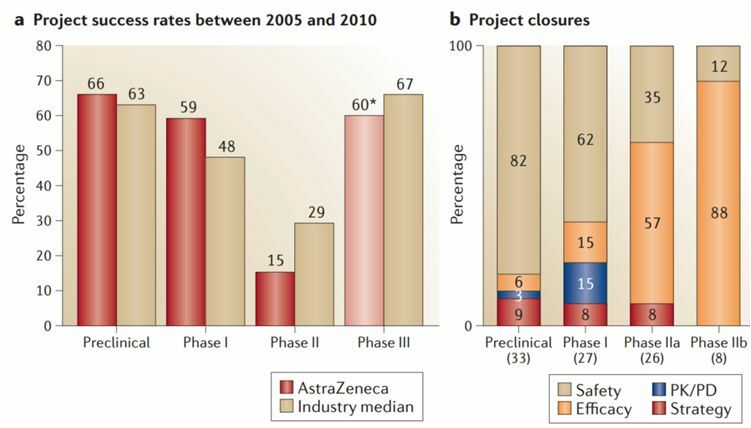 As shown by AstraZeneca in Nature reviews*, toxic events are responsible of a high rate of project closures at the late stage of the drug development.